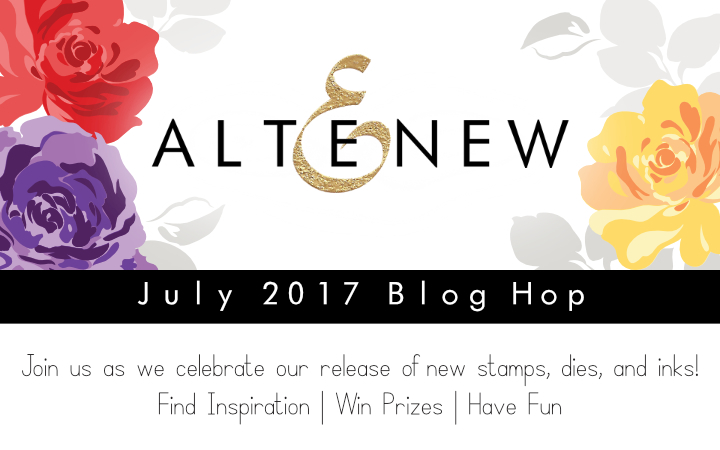 Hello and welcome to Altenew Stamp/Die/Ink Release Blog Hop + Giveaway. And I will also randomly choose a winner from comments left on this post and the prize will be $30 gift certificate. For this scrapbook layout, I used Floral Fantasy Die set , Pretty Pansies Die set and Beautiful Inside Stamp set. I cut blossom images from a 6x6 paper pad (they're from A New Day Card Kit) and did machine stitching on them. 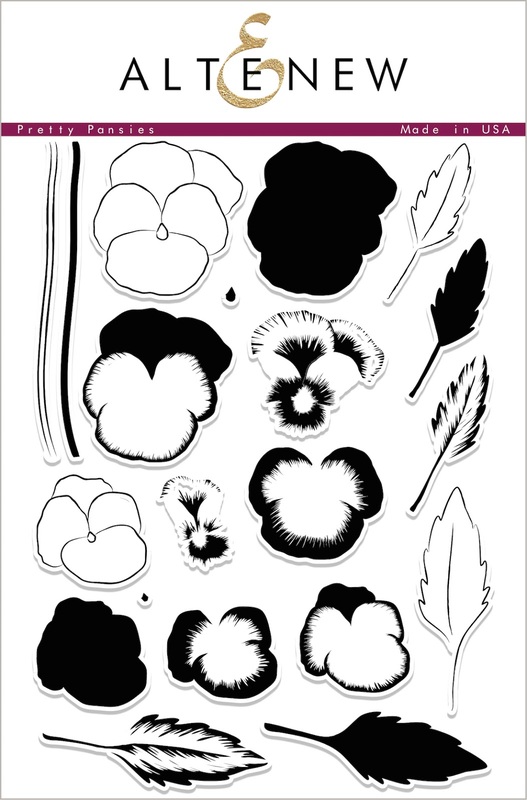 I cut leaf shapes with Floral Fantasy Die set , Pretty Pansies Die set. I added a A4 sized photo on a white cardstock using double-side tape and added blossoms and leaves using pop-dots for 3D effect. I stamped the 'Thank you' message of Beautiful Inside Stamp set on a white cardstock and used it as a journal. I finished to splatter a black mist. I added patterned paper stripes around a white cardstock and did machine stitching. I used Pattern Play Hexagon Stamp set and Floral Fantasy Stamp set. I stamp the images on a white cardstock using a balck ink pad. This is the last scrapbook layout for blog hop. When I found a Pretty Pansies Stamp set, I'd like to make a wreath style layout with it. I stamped the pansies with new ink pads. I tried stamping in various color combination. I lightly added the pansies with double-side tape and did machine stitch on them. I added a title and embellished with wood shapes (from Reflection Scrapbook kit) & enamel dots (from a New Day Card kit). The next stop in the blog hop will be Laura Bassen. I love your layouts, and your style of layouts - very refreshing and always inspiring! I like how you combined a lot of stamps for this. Lovely. I love the pansies in the unusual colors! Thanks. You have such a cool style! These pages are amazing! Very pretty. Love your use of the flowers on the layout with the cat. What lovely scrapbook layouts. I love your creativity!! Great creations. This release is fabulous. Your layout is exquisite! The love and care you put into every detail is obvious. I can appreciate the crop on your photo and the softness on the pansies. 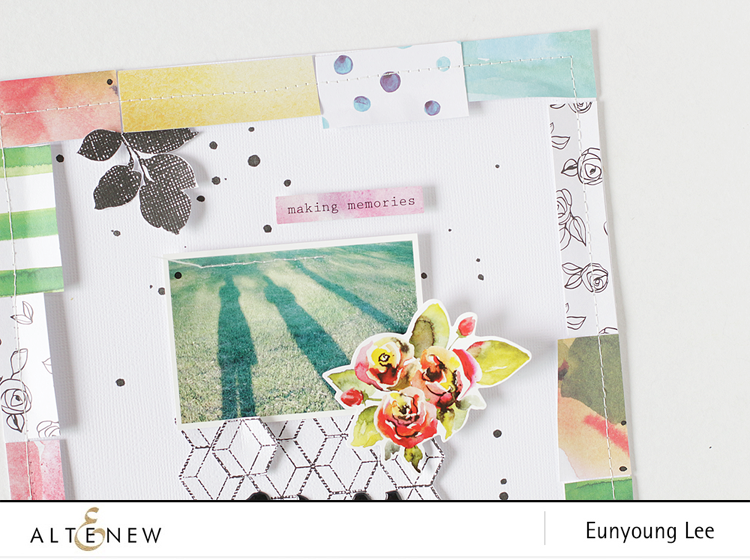 I love everything about your layout and I love Altenew's new release! Beautiful colors in your pansies! I love all of the layouts, but especially the pansies. I may have to do one that is similar with my kitty. I love your use of stamps on you layouts. Great job. These are gorgeous! Love how you've used the stamps. Love your pages. Great use of the stamps. Great new release. Love your quirky individual use of the dies thank you for sharing. what really beautiful projects!! Love the photos too. 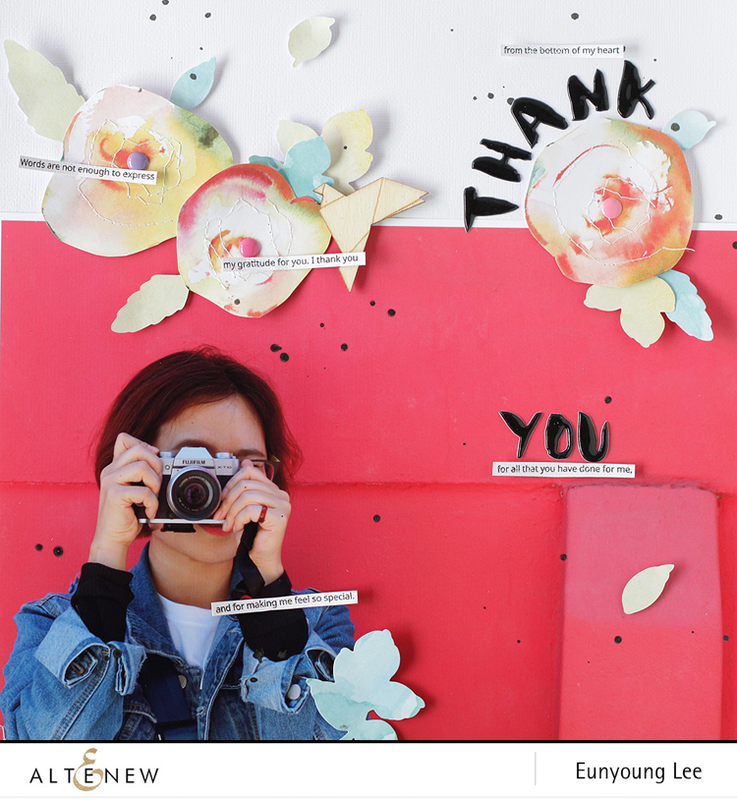 Such another fabulous new release to please card makers, scrappers, and art journalists alike! Each of these layouts are wonderful - love how you used single line sentiments from the Beautiful Inside set and spread them throughout the page on your 1st project. Wonderful layouts. Love your pansy wreath. Loved how you used the florals. I love your thank you layout! So creative. Beautiful layouts; thanks for sharing! Pretty layouts, love your pansy wreath! Thanks for sharing! Love how your use of dies stand out! Beautiful! Very creative layouts! Love what you designed. Your layouts are super cute and creative! Fantastic pages Eunyoung. The flowers are so pretty! Lovely colors! Great use of the hexagon image. Combining all the elements you have done on this page, clearly shows you have a very creative mind! Thanks for all the options you showed. Very creative layouts!Thank you for sharing! Wonderful layouts and new release!! I like the wreath layout page with the cat photo on it. Very pretty. Thank you for sharing. 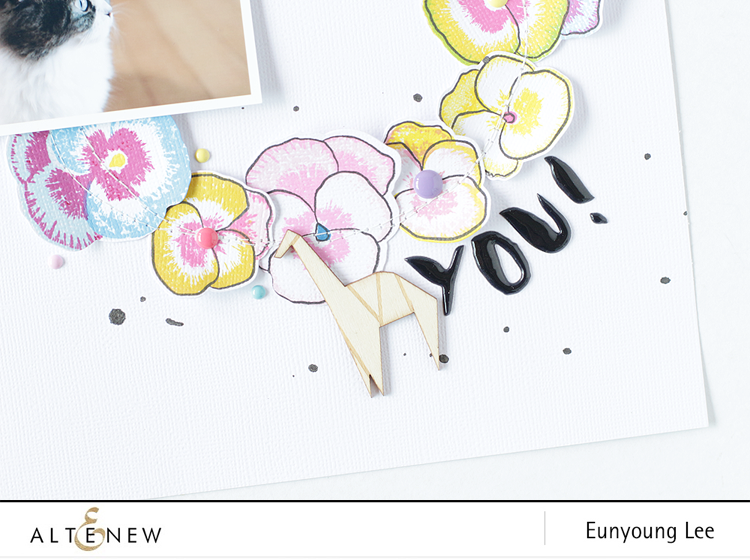 So pretty how you have incorporated these stamp images into your layouts! Shoot I need to get out of card making and into scrapbooking. I have seen so many awesome layouts on this hop. Good job and thank you so much for sharing. Your layouts are beautiful! Great job showing off some of the new products and inks!! 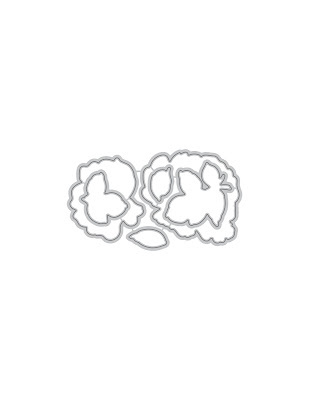 I love the new Floral Fantacy stamp set. The layout is beautiful, thank you for the inspiration. 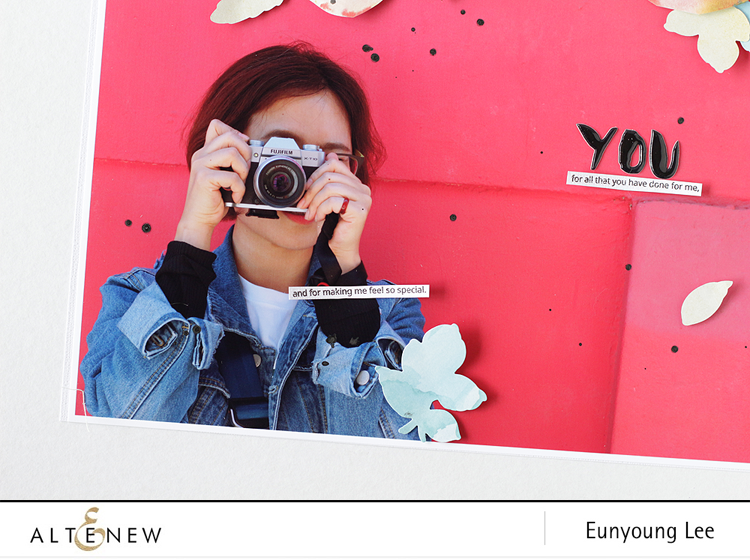 Eunyoung, these scrapbook layout pages are so lovely. Each one shows the possibilities of these stamps and other Altenew products so well. Thanks for sharing these creations. Great layouts! Love the big photo and how bold that first layout is and I really love how you did the borders on the second. Gorgeous layouts! I love the pansy wreath! Both are fabulous! I love your ring of Pansies! Love your pansy wreath. I never would have thought to do that. Great layouts. I love love love the first one. So bold and beautiful. 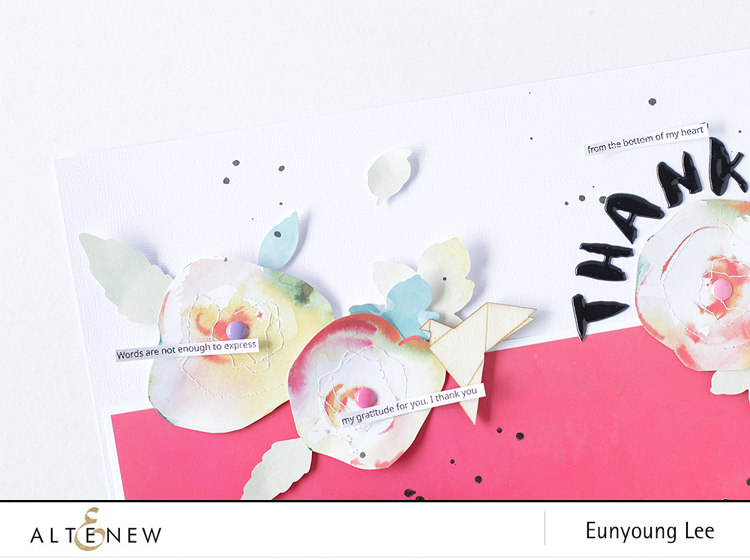 Really great pages Eunyoung and an awesome way to use these pretty floral's. Very nicely done. I love your scrapbook pages so much! I'm inspired to start scrapping again! Love seeing more scrapbook pages and lovely ones at that!! It's nice to see someone using cardmaking supplies for scrapbooking, since I do both as well, that's nice to see. I wish there was more of that around. Thanks for sharing . Great mixing ideas for layouts! Bright and fun! Your first layout is amazing. The way you cut the photo it looks like your standing in front of a pink wall. I also cannot resist that adorable kitty. Great layouts! Loving this release ... the balloons, the pansies, the arabesque design ... beautiful deisgns and projects by all you fantastic bloggers. Thank you for inspiring us all! 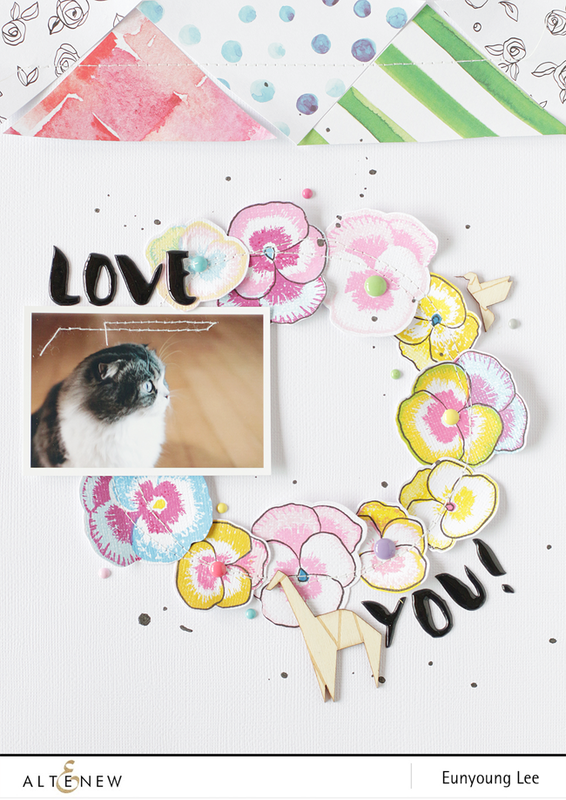 Beautiful scrapbook pages, especially the pansy wreath with the kitty photo, super cute! I love those pansies and your kitty is super adorable! Lovely and whimsical layouts. Thanks for the inspiration. Fun pages. Love the ring of pansies. Thanks for sharing. Lovely floral layouts! Especially love the pansy wreath. Love the use of the cut-out flowers. 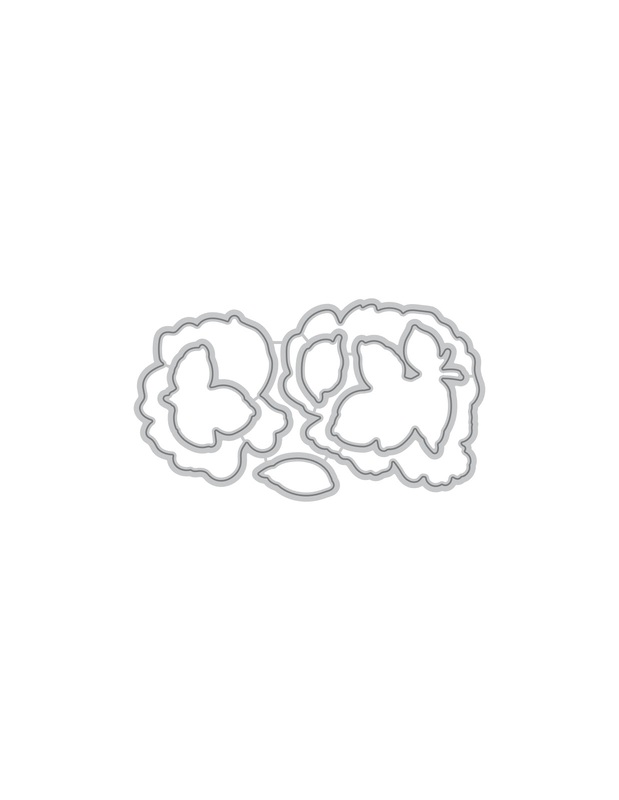 Love your playful scrapping style; the pansy wreath is adorable! 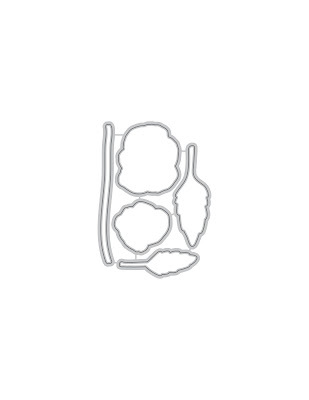 Wonderful layouts for your scrapbook memories! This is a fabulous release. Cute, cute, cute! I am falling in love with those pansies! What fun layouts! The picture of the person with the camera made me laugh. My husband always likes to take pictures of someone else taking pictures so that layout reminded me of him. Great job! Love the stitching details and colors on your beautiful layouts! The pansy wreath is gorgeous... love it! Love your layouts! They made me smile, especially the pic of the shadows. Very fun use of the stamps on each one. Thanks for sharing! Love your fantastic layouts. So creative. oh, my goodness--you went to town! I totally understand the need to create and create and create again with all the inspiration in these products! I was so impressed with the first layout, ....and then I kept scrolling! I am overwhelmed. You have done Altenew proud with these layouts. Just beautiful! Thank you. Your layouts are fabulous. They are works of art. Such pretty layouts, love the pansy wreath. Great idea. Beautiful layouts! Love the soft colors! Great new release! Loving this blog hop with all it's talent and inspiration! Thanks for sharing yours! Wonderful layouts! Thank you!! I love this release, and you showcased it nicely! AWESOME Hop and Release! I especially love the pansy wreath on the kitty cat layout! I love your layouts but especially the one with your kitty :) Thanks for sharing! Awesome work, love the background stamp cut out, how cool! Very nice layouts .nice ideas with the new release. 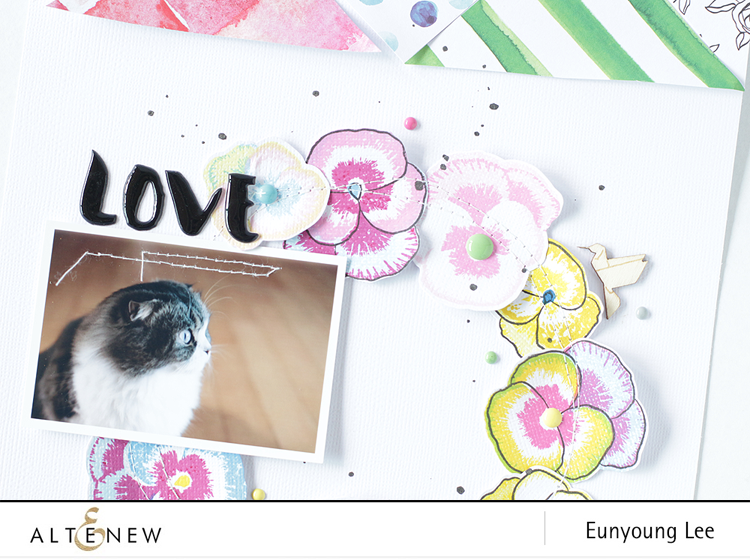 Great layouts, love the one featuring your cat, so pretty. Great layouts! 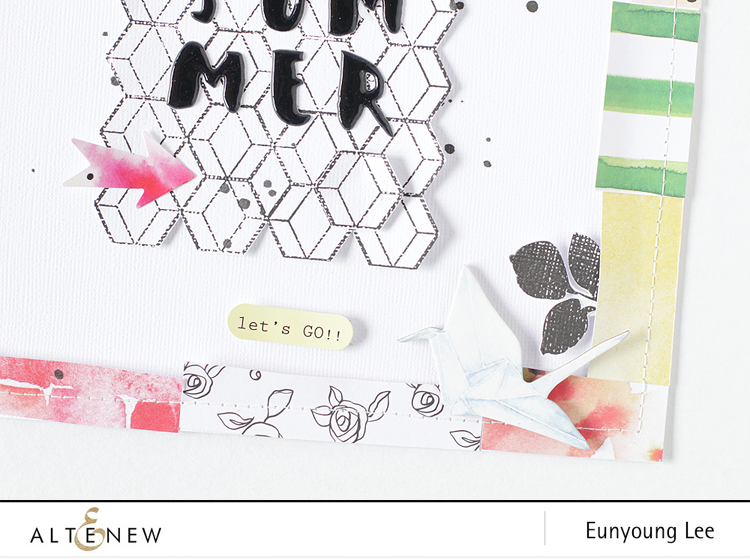 I love how you used that hexagon stamp! Really fun layouts! Love the pansies! Your layouts are beautiful and I love the new Altenew release. Wonderful scrapbook layouts! I love the stitching and other little details! I love your pansy wreath. Very creative. I'm not big into scrapbooking but I can see that you are. I love your scrapbook pages! I guess I didn't look at everything on the site because I didn't see the sentiments stamps and those are what I want when I win along with the Pansy stamps and some of the ink pads, especially the yellow ones as it's my favorite color. Oh, if someone like the Kardashian's who I don't like but have money would adopt me, then I could buy all the stamping things I wanted. Since that won't ever happen, I have to win something on the hop. Those Pansy's are so pretty and so real looking. I love, love, love Pansy's! I have a lot of Altenew stamps and wouldn't have a problem getting some more. Thanks for showing us your pretty layouts and for giving us the chance to win something. Love the super cool designs! What lovely layouts! This is another stunning release! Love those pansies and the heartfelt sentiments! These are really cool summer layouts! They are so fresh and bright too! Beautiful layouts - wonderful colors and balance! Very cute idea for using the hexagon stamp and the wreath of pansies! Both give me ideas! thank you!!! 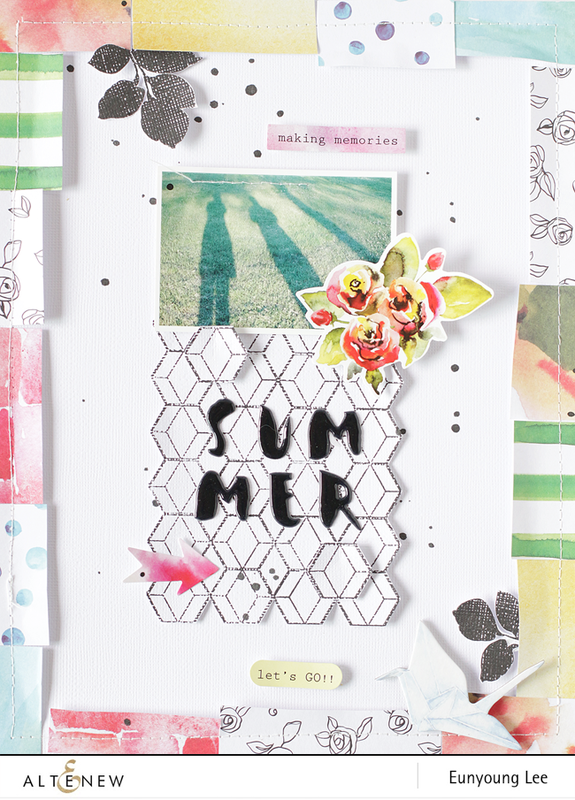 FUN use of the Pattern Play Hexagon Stamp set. SWOONING over that PANSY wreath! love love your wreath of pansies! What terrific layouts! 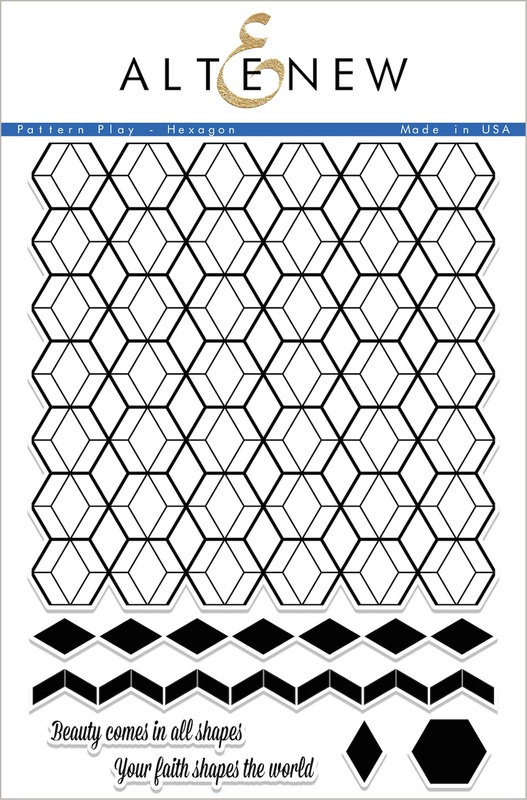 I'm curious how you got the hexagons to look dotted? I am head-over-paws in love with the kitty/pansy layout!! Pretty layouts. I like the Soft coloring. Another great release...love Altenew. Your work is beautiful too. Love your page! What a great release. Great job on those layouts! Wow! What beautiful layouts. Can't wait to receive my order so I can give this a try. Thank you for the inspiration and opportunity to win. Awesome layouts with nice color combinations. You have amazing talent. WOW! Your layouts are gorgeous! Love how you used just the dies on the first one ....have to try that :) The 2nd is absolutely stunning, everything about it! My favorite is the third because we have two cats that we love, love ,love :) Thanks for the great ideas! I can never get enough of your stunning artwork! I envy your freeform style and how well you pull everything together!! Beautifully done with the wonderful new Altnew sets you used! Wonderful pages, love all of your fabulous and clever designs. These pages are so sweet. I love the soft colors you used on the pansies. We always think of pansies in dark or bright colors and the soft coloring was refreshing. I'm going to try that on a card or two. Thank you for sharing. These layouts are awesome. Impossible to choose a favourite! Love all the details & finishing touches (like the stitched edge). Beautiful work. Great picture and layouts. Thanks for sharing your ideas. Wonderful projects Eunyoung! As always I am amazed by the clever ways you incorporate stamping into your projects, thanks for all the inspiration! Have a wonderful day! Gorgeous layouts, especially the kitty with the pansies! Great examples with these new sets. Love your layouts and colors - so pretty! These are some awesome layouts. I love the pastel pansies! WOW - THANK YOU for sharing these BEAUTIFUL and CREATIVE ways to use these crafty must-haves! Wonderful use of the stamps on these layouts. Love all the pretty pages!! Beautiful creations using new stamps. So hard to pick a favorite. 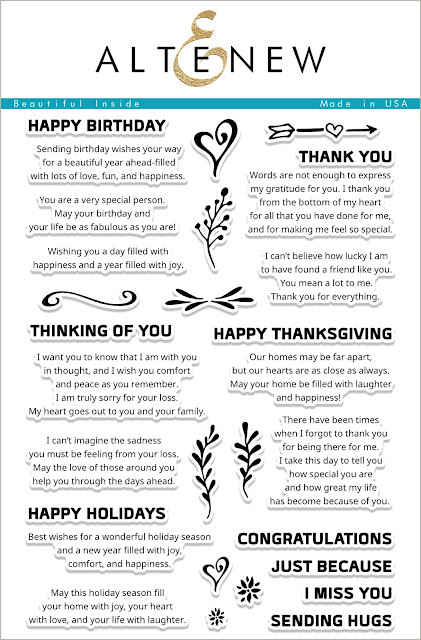 There are such great sentiments in that set! Love your layouts and those pansies are so pretty. Thanks for sharing! What brilliant scrapbook pages! But that first one has got to be one of my favorites designs on this blog hop! Thanks for the inspiration. Beautiful layouts - I really like the stitched border of papers and the wreath on your 2nd and 3rd ones! 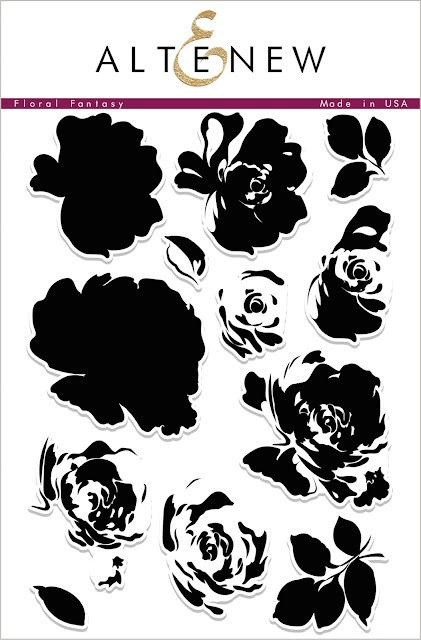 Love the Floral Fantasy set that you used in your layout! Very pretty! TFS! The Pattern Play hexagon set is really versatile and super-dramatic!